Recently parishioners at St Pats Cathedral started taking ribbons down from the the fence at the front and side of the building. An outraged Ballarat populous immediately put the ribbons back, bigger and brighter. This story from ABC Ballarat tells a harrowing story of abuse in Catholic schools in Ballarat until recently. It's a lonely walk up the gravel pathway beside Ballarat cemetery's Roman Catholic section. Monuments dating back to the goldfields era perch above the plots of the faithful. A marble inscription above a congregation of nuns stands tall: "In Your Charity Pray for the Souls of the Sisters of Mercy". One after another, the city's Catholic institutes are memorialised in stone, the faded names of priests and brothers buried together under an oblong wall of basalt. A little further up the hill is a small stretch of identical white Celtic crosses — the final resting place of the city's Christian Brothers. The white monuments are embedded with the names of about 20 of their dead. The last to be buried, in 1987, was Brother Gerald Leo Fitzgerald. Brother Fitzgerald's victims were exclusively boys, with an average age of eight years old. For more than a decade the Irish-born immigrant had his pick of his Grade 3 classroom at the St Alipius Boys School in Ballarat East. "As students, everyone was very aware what was going on, but it was just accepted," said Elroy, a former student now in his 50s who would prefer not to use his real name. "I just thought this was the way life was." He said when he told his parents, they went down to see the school's headmaster. "[He] said 'Look, you've got nothing to worry about, Fitzy's just a nature-loving kind of guy. That's the reason he's getting your son to pull his pants down and do breathing exercises." Devout Catholics, they took the brother's word. "By all accounts, and on the basis of instruction from our clients over the years, [Fitzgerald] was an extremely violent teacher," Elroy's Melbourne-based solicitor Vivian Waller said. "And that violence tended to make children more compliant when it came to the allegations of sexual abuse." Thirty years on from his death, Dr Waller has launched action in the Supreme Court against the Christian Brothers over allegations they were negligent in allowing Brother Fitzgerald continued access to children. In a 1950 letter from Brother Fitzgerald's provincial — the regional head of the religious order — he was admonished for his repeat offending. "I feel it my duty to censure you as strongly as possible for the following matters that have been brought to my notice," the brother in charge wrote. "In defiance of the command given you by the [Brother] Consultor, you continued to have dealings with the boys … you have allowed one or more boys to enter your room, and you have kissed a boy." But the letter finished without consequence: "I trust that the retreat has brought home to you your irregular and irreligious conduct, and that it will not be necessary to take further action." In 2013 the Catholic Church's own insurance arm wrote to the Christian Brothers to reveal they would not be financially backing claims involving Brother Fitzgerald. The letter stated complaints about his behaviour reached "the ultimate Christian Brothers hierarchy in Dublin", and that despite consideration, disciplinary matters "[appear] not to have progressed". "It was knowledge that appears to have been held by the upper echelons of that organisation," Dr Waller said. "It is knowledge that they should have acted on to remove a predatory brother from teaching responsibilities. "But in fact it was the reverse, and that's just heartbreaking if you actually stop and think about the suffering caused to those boys and their families." Brother Fitzgerald was not alone. In one of the most enduring and extraordinary examples of institutional abuse, the small St Alipius Boys School where he taught in the early 1970s had some of Victoria's most prolific paedophiles on staff. Another former brother is due to face court in Melbourne charged with fresh historic offences in February. Chairman of the Victorian Parliamentary Inquiry into the handling of institutional child abuse, Georgie Crozier, remarked at hearings in 2013 that "it appears the only person who was working at the school at that time who did not offend against children was the sole female lay teacher". Elroy's first day is seared in his memory. "There were storms. It was a very dark day, and these brothers were just striding around in these long black robes and shouting at kids." Later were the science lessons, where Brother Fitzgerald would line the boys up in a circle with a hand-wound high-voltage generator. "We'd all have to hold hands and he'd get this electrical generator on us and it'd go round the whole circle. He'd probably call it a trust thing. If anyone let go, you'd get a hell of a shock." Elroy's face is filled with anger. "That's how I've felt going through my whole life — violence is going to happen to me if I do the wrong thing, step one little foot out of line. We were absolutely in fear." The answer to how or why this was a conceivable reality lies squarely with the Christian Brothers order itself. But despite forensic questioning at the royal commission's hearings, that question has not been conclusively resolved. In 2016, the counsel assisting the inquiry, Stephen Free, publicly interrogated Brother Paul Nangle, the superior of the Ballarat Christian Brothers community at the height of the worst abuse in the 1970s. "Brother Nangle, you now know that during your period as superior of this community, there was abuse being committed of a sexual nature, quite audaciously, within the community, that is, within the dormitory, and also at the St Alipius School and at the St Patrick's School, and it seems on your evidence, you were ignorant that it was going on," Mr Free said. "What is your explanation?" he was asked. "Why do you think it occurred?" Brother Nangle's response was somewhat enigmatic. "A response to that would have many facets," the brother told the commission. "I think possibly the psychosexual formation of brothers in the spirituality of our congregation may have been deficient, defective." In his own time, Brother Nangle said, he was taught that the body was at least partially evil and needed to be constrained. "We were formed in the notion that the world, as we called it, was at least potentially evil and as a result we were secluded from it, we were separated from it." As a religious superior in the 1970s, he said he took for granted "that my brothers were all motivated by a desire for spiritual perfection … at that time in my mind it would have been totally inconceivable to me that a religious brother could have behaved in such a deplorable manner." With exasperating denial, he concluded: "I trusted them to behave responsibly." In all, the brothers operated six schools across the Ballarat diocese, but 61 per cent of abuse claims have related to St Alipius. In the late 1990s the order commissioned one of its brothers to conduct a study into the prevalence of child abuse within the religious institute. Tendered as an exhibit to the royal commission, it contains some stark admissions that were not as forthcoming in the hearings themselves. In a chapter titled The Nature of Child Abuse, the internal report's author painted a frightening picture of power and control. "We ran our schools; we made the rules; we expected people to obey. Everything was on our terms … We ran a closed system which was not subject to formal public scrutiny. "This is particularly significant, because the consequent dynamic resembles in principle that of a potentially incestuous family." The author continued: "Some individual brothers abused their position of trust by exerting power over children in forms of emotional, physical and sexual abuse." Novices were recruited to the order as teenage boys, naive to the future before them. "There was a truly disturbed attitude to sexuality and intimacy in the church," wrote Graham English in a submission to the royal commission; he became a brother in 1960 at the tender age of 15. "From the moment we entered … we were forbidden from having a 'particular friend'. They were afraid of homosexuality I am sure, but this was not explained. "The effect of this fear of particular friends was that we were forbidden from having any real friends. "We had no teaching about intimacy or friendship, nor any encouragement to have real conversations with anyone." The recruits were all drilled with the notion of perseverance. Mr English's novice master told him, "When you die if it is [a] brother … in the coffin, you will have been a success. If it is Graham English, you will have been a failure." A brother to the end, Gerald Leo Fitzgerald did not fail in his task of perseverance; he was buried with other men of the cloth. As he has lain buried, officers for the royal commission have drawn up charts and tables of his abuse. Years, locations and patterns are listed alongside the average age of his victims. Brother Fitzgerald worked for St Vincent de Paul's orphanage as a probationary officer at the Children's Court. For a further 13 years he taught primary school boys, and then lived out his days on the campus of St Patrick's College. At no point, over his decades of perpetrating crimes against children, was he constrained from contact with them. Twenty-two per cent of Christian Brothers across Australia have been alleged sexual predators since 1950, according to the royal commission. Of the almost 2,000 identified alleged perpetrators in the Catholic system, 32 per cent — the highest percentage — were religious brothers. And yet their lives remain a relative mystery. Repeated attempts by the ABC for interviews with Christian Brothers across the country, by way of phone calls, emails, letters and doorknocks, have been ignored or denied. One of the first detectives to properly investigate a Christian brother in Victoria was Blair Smith, whose work in the early 1990s led to the conviction of Edward Dowlan. As part of his role he executed a warrant at the Christian Brothers headquarters in Parkville, where he requested the file on Dowlan. He was told, "There's no file. We don't keep files." The former detective was mystified. "You've got to have something," he said. "We've got nothing," a brother told him. "We don't keep files on our Christian brothers." Detective Smith said he returned to his office flabbergasted. "[It's] just run like a Mafia organisation," he said. "Any other organisation, you'd have to have a file, on a teacher, or anyone else." It may have been deliberate. Senior counsel Gail Furness noted this in her opening address in the royal commission's case study into the Catholic Church in early 2017. Ms Furness told the hearing that sexual misconduct against children in Western Australian institutions had been mentioned in visitation reports and provincial council minutes from 1919, but that from 1959 those concerns were no longer put down on paper. The lawyers for the Christian Brothers told the royal commission, "There may well have been some decision made in the late 1950s not to record these matters." The commissioners later concluded the Christian Brothers "completely failed … to protect the most vulnerable children in their care", and that senior brothers, including Paul Nangle, had deliberately misled police in more recent statements about their knowledge of abuse. Since 2007, the order has retreated from providing direct education. Edmund Rice Education Australia, the legal successor, still operates 50 schools across the country. Elroy never went to the royal commission because he did not want his name on the public record. For other reasons, involving his own family, he has waited 40 years to confront the Christian Brothers over their negligence. It has only made him more determined. "If I'm going to take this fight on with them, I want to take it as far as I can," he said. "This goes beyond redress. I want the end of the Christian Brothers as an identity and a risk. "This evil corporation needs to be delisted, all over the world. No children or vulnerable people are safe while this corrupt and filthy organisation exists. "It's what's right and wrong and black and white. "They were the ones that taught us confession. Go in and repent your sins, and face up to what you've done wrong and god will forgive you, and yet they are doing exactly the opposite." He has written streams of poetry to come to terms with his abuse. In one, the Christian Brothers are referred to as a group of unnatural predators. But you did/ Wolves lead the vulnerable away, and you did/ And the wolves howled my name. Despite it all, he said he felt for the "good people of the cloth, for the ones who really tried and went in there for the right reasons and did the right thing". Well school is over for the year and tomorrow is Christmas. I've decided due to technical issues that blogger is not suitable to host Learning With Literature anymore so I'm going to start a Learning With Literature site as a Facebook page in 2018. I'll change the format and just have links to units I've created for Teachers Pay Teachers ( TPT) and some information and images about literature learning we are doing at Glen Park in 2018. Also I'll have some general Children's literature posts that might be of interest to readers and might support work TPT units I post.All old posts on the Blog going back 4 years will still all be there. I also have a Glen Park Facebook site and a page on AustLit hosted by the University of Queensland which currently holds 12 classic Australian literature units. The first Allied and Royal Australian Navy submarine lost in World War I has finally been found after a 103-year search off the coast of Papua New Guinea. Australia's oldest naval mystery has been solved . it was a significant tragedy felt by our nation and our allies at a time when the German Asiatic Fleet was cruising somewhere in the Pacific. HMAS AE1 was holding 35 crew members when it went missing off the coast of the Duke of York Islands on September 1914. Twelve previous private and government-funded expeditions over the years failed to find the vessel, which was a grave to so many. The latest, 13th and final search began on board the vessel Fugro Equator last week. The missing sub was found yesterday 300 metres under water near the Duke of York Islands. After the discovery, the crew on board the Fugro Equator took part in a commemorative service to remember the officers and sailors who lost their lives. 9. To support and promote access to quality education for rural and regional students. 1. Support schools that service remote and rural communities. 2. Ensure appropriate education provision in rural and remote communities to promote community cohesion and to aid and assist the viability of regional, remote and/or rural communities. 3. Ensure adequate resources and alternatives are directed to schools to ensure attracting and retention of students and families. 4. Ensure that strategies to support and promote enrolment opportunities are offered to schools in rural/regional and/or remote settings. 5. Provide adequate teaching and learning resources to support students in their learning in these settings. 6. Support these schools at a network level via collaboration and resource sharing. 7. Ensure opportunities for adult education organisations and/or sporting or other local community groups to use the school’s facilities as a shared facility where possible. The Catholic Church in Ballarat ( of all places) started removing ribbons from out the front of St Pats on Sunday just after the Royal Commission Report was released ( which showed that over 60% of abuse cases occurred in Catholic institutions...a whole lot of them in Ballarat!) there was outrage! And people have been replacing them ( including me) They obviously have learnt nothing. I tweeted a photo of my ribbon. I put up a nice Christmas one this morning before work. I delivered 250 brochures yesterday in the heat! I need a medal for all the newsletters and brochures I've delivered by myself in all weather this year alone! Technical issues mean that in 2018 I'll be creating a Learning With Literature Facebook site instead of using Blogger. So just a few more posts this year and then posts just about education politics on this site from 2018. Just Christmas tasks this week. Greater Shepparton’s four public secondary schools will be merged into one, with State Member for Shepparton Suzanna Sheed expecting the super school to open in the next five years. Today, the Victorian Government endorsed the proposition in the hope to improve academic outcomes for all students in the Goulburn Valley. ‘‘The government now has to provide the necessary funding to make this happen as soon as possible,’’ Ms Sheed said. The single-school proposal will merge Shepparton High School and McGuire, Wanganui Park and Mooroopna secondary colleges into one. Victorian Education Minister James Merlino said it was the right option and would bring together schools, teachers and families alike. ‘‘We know that transformational change is needed to improve academic outcomes for all students in Shepparton and Mooroopna,’’ Mr Merlino said. In April, the Victorian Government developed the Shepparton Education Plan in the hope of addressing worrying NAPLAN results, which are well below the state average. After months of detailed community consultation and engagement, an advisory committee recommended the merger. The large school will be located in Shepparton, broken up into smaller schools or ‘‘houses’’ to create smaller learning communities — where students are well known. Students will stay in the same house across secondary schools, with Years 7 to 9 students learning within their house and Years 10 to 12 moving across the campus for specialised subjects. Wanganui Park principal Ken Murray said after looking at a range of possibilities, the proposed option would have the most impact. ‘‘It is obviously a significant change from what’s been in place for a number of years, but it can offer a great deal,’’ Mr Murray said. Mr Murray said he expected the super school to produce some outstanding results and opportunities. ‘‘It is a significant project that we don’t want to be rushing,’’ he said. Mr Merlino’s office also announced a team of specialist educators would work with Mooroopna Secondary College leadership, teachers and students next year — following a recent drop in enrolments. The Victorian Government is set develop timelines and transition plans for the next stage in the near future. An opinion piece James Merlino has written can be read below. Today, I have announced an important decision about the future of secondary schools in Shepparton and Mooroopna. This is about making a significant change to education in these communities to give children the best possible chance to a great start in life. What is occurring right now simply is not working and that is why we need to make a change. The four secondary colleges — Shepparton High School, McGuire College, Mooroopna Secondary College and Wanganui Park Secondary College — will merge to form one new single-campus school that will be better equipped to meet the needs and aspirations of young people across the area. This change is part of a broader Education Plan for Shepparton, which will be released next year with the first step focusing on secondary education. This is a long-term plan to transform education from early childhood through to secondary education and beyond and will help young people in Shepparton and Mooroopna get the best possible start in life. This large school, to be located in Shepparton, will be broken up into smaller schools or houses to create smaller learning communities where students are well known, and can build connections across many year levels. Students and teachers will gain all the resources and broad curriculum benefits of a large school, while operating in a caring, supportive environment. We have recognised our education system is not working as it should for all local students. Outcomes for reading and literacy are well below state averages and, despite the dedicated efforts of schools and community groups to address disadvantage, achievement across the area is inconsistent. In April, the Andrews Labor Government invested $1million to start the Shepparton Education Plan. Since then, hundreds of you joined community workshops and meetings, or contributed to the online survey, to build a comprehensive picture of the key challenges facing local young people and what we can do to improve their education achievements. You clearly identified the need for significant change capable of delivering wider learning options and better career opportunities for students, improved support for teachers, and upgraded facilities for schools. It was inspiring to see the community engage with finding solutions. Your feedback was carefully considered by an advisory committee, co-chaired by Shepparton MP Suzanna Sheed and supported by community leaders and education experts. They also considered school models that had been successfully applied in similar circumstances across Victoria and overseas. Their final recommendation, which I support, is the option that offers the greatest chance of success. One large school will be able to offer a broader curriculum, replace competition between schools with collaboration, and allow us to combat inequity by investing in new modern facilities that can be shared by all. As each student has different aspirations and different learning goals, the focus will be on addressing individual needs. Today’s announcement also provides an opportunity to plan for the future of the current Mooroopna Secondary College site. Options for this site will continue to be developed next year. I recognise that today’s announcement presents challenges. This kind of transformation will take time. At this stage, we have not selected a site for the new school, but it is not just about delivering new buildings. Education is all about what happens within them, so it is essential our planning is thorough to ensure a smooth path for students, families and teachers. I also recognise that there are issues that need more immediate attention. So today, a team of specialist educators will join Mooroopna Secondary College to support the leadership and teaching team and their students. We still have a lot of work to do, and will continue to consult the community as plans develop and details are finalised. I thank you for your support so far, and urge you to maintain that for the next steps. 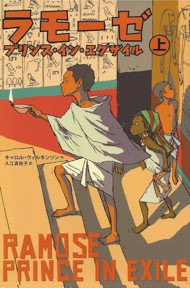 Blooms Taxonomy unit plan and teaching ideas for the four Ramose Prince of Egypt books by Carole Wilkinson. Includes graphic organisers, reading, writing activities and craft activities based on the four books in the series. This unit is tried and tested and enjoyed by the grade 3-6 students I teach. I don't normally post my Christmas Literature work. (Tasks I develop in reading mostly for my multi-age classroom in the last week or so before our Christmas breakup but this year I decided to do it. One of the reasons I don't do it is because I like to use new Christmas picture story books every year and they usually only appear once in print (unlike The Grinch) and because it is usually designed to meet the needs of individual students in my class. This year is no different but I thought what the hell, why not. This unit includes tasks also for A Christmas Carol. (I have a Christmas bundle including classics for sale on TPT at the moment) Its free so download it and have a look, maybe there is something you can pick out of it. Australia could learn from education powerhouses Singapore and Finland and restructure the daily school experience for students, according to federal Education Department boss Michele Bruniges. Looking to the nature and structure of school learning in high performing countries overseas and improving the value placed on the teaching profession could help lift academic performance, Dr Bruniges said, along with better use of existing student performance data. In an interview at Melbourne University the former NSW public servant and OECD student assessment board chair, said national teaching standards needed to be effectively implemented to ensure school selection was not "a lottery". "I think there are many lessons that we need to take stock of from our colleagues in high performing countries," she said. "Some of the research that are done in places like Singapore, like Finland, actually look at the nature and structure of the day. "They look at the high value of teaching as the status of the teaching profession which is incredibly important. They look at principalship and the importance of school leadership." Dr Bruniges said research on the most effective use of teachers in schools, class sizes and smaller group learning helped high performing countries meet students' needs. Recent rankings by the Organisation for Economic Co-operation and Development found Singapore out performed developed countries on the quality, equity and efficiency of school systems, with countries including Japan, Estonia, Finland and Canada close behind. Australia was found to be among countries where the share of students performing at the highest levels was falling, at the same time as the share of low performing students increased. In June, Australia ranked 39 out of 41 high and middle-income countries in achieving quality education, according to a United Nations Children's Fund report. An expert in education measurement, Dr Bruniges said Australia needed to better learn from data about students' progress. "Having the right scales to be able to look at the data we're collecting, look at the validity and the reliability of data that we have before us, to rely and form strategic partnerships and alliances with the university sector and third party providers who do have a great deal of evidence and to link that evidence up to inform policy discussion. "To me it's absolutely critical." She said linking schools data with education policy and national standards would help improve students' lives. "I think the National Professional Teaching Standards go a long way towards [consistent results] but what you have to do is to ensure that they're operationalised or implemented in each school section. "Part of ensuring that we do that, is that we focus on our school leadership, [on] performance development cycles for teachers and where their professional learning dollars are spent goes to areas of weakness that are identified. "That we performance develop our staff and that we be really frank and fearless about providing good constructive feedback to teachers about where they're doing wrong and where they're not doing so well," she said. Meanwhile...the Royal Commission into sexual abuse of Children in institution has released their final report. The Catholic system didn't come out of it looking too good. This is one view from a survivor. Child sexual abuse survivor Damian De Marco is calling for the Catholic Church to be banned from operating Australian schools unless it agrees to report abuse revealed during confession. The call comes as the Royal Commission into Institutional Responses to Child Sexual Abuse prepares to hand down its final report tomorrow. Mr De Marco said government support should be pulled from Catholic schools unless the church promises to protect children over its own reputation. "I don't think they should have a license to run schools anymore if they continue to promise to their institution that they will conceal child sexual abuse," he said. The Canberra-based child safety campaigner fronted the royal commission after decades of fighting to prevent children suffering abuse. Mr De Marco attended Marist College, which was the subject of dozens of allegations of sexual abuse against several brothers. The college has since apologised to the victims. Senior church leaders have said on several occasions they would not abide by a royal commission recommendation to break the seal of confession to report child sexual abuse to police. "They continue to say 'we are above the law of society'," Mr De Marco said. "If they continue with that, how can they continue to be funded and supported by our government with our children? "They don't get it, they still don't get it." He fears politicians will not act on the commission's toughest recommendations, concerned allegiances to religious institutions will create a conflict. "How can we continue with the knowledge that they've been running a secret judicial system hidden from our society, trafficking paedophiles from place to place ... allowing more and more children over and over again to be abused?" he said. "It has to come to an end." Mr De Marco believes the royal commission has enlightened society about the problems within the Catholic Church. But he is concerned the institutions will continue to yield power in the community. "The Church has drawn a line in the sand and said 'we believe we are still entitled to be above the law'," he said. "Now it's up to society, do we let them, do we not?" Yeah, One Nation knows what's what!